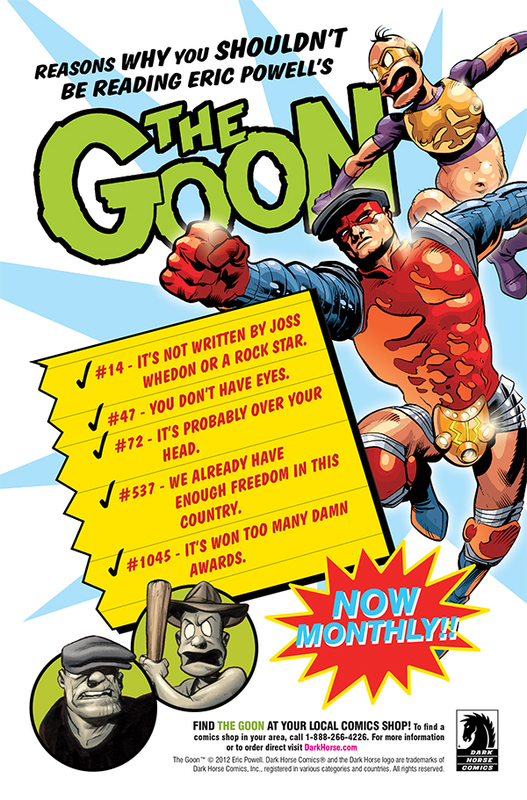 TheAngrySpark: How many reasons are there to not read The Goon? Apparently, there are quite a few. Dark Horse Comics' The Goon is a consistently good time, but the publisher would like to remind you all that *yes* there are reasons not to read the book. Not necessarily good reasons per say, and maybe not reasons that might apply to all that many people... but reasons nonetheless.